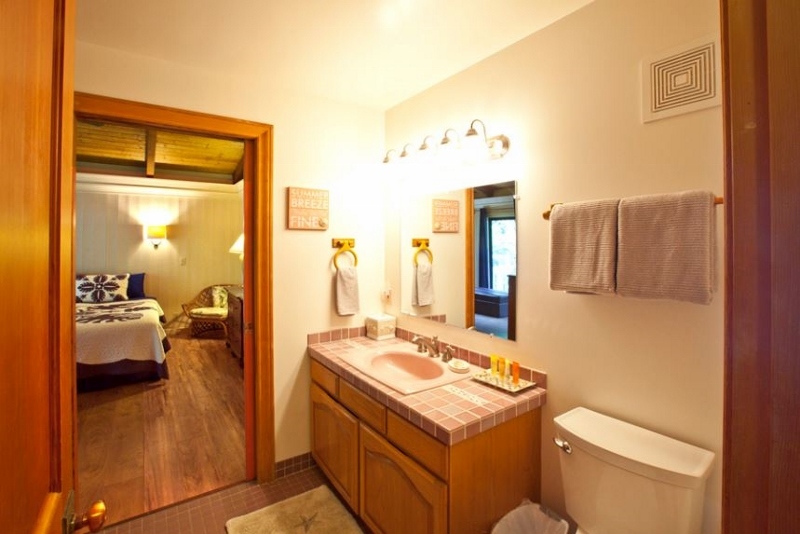 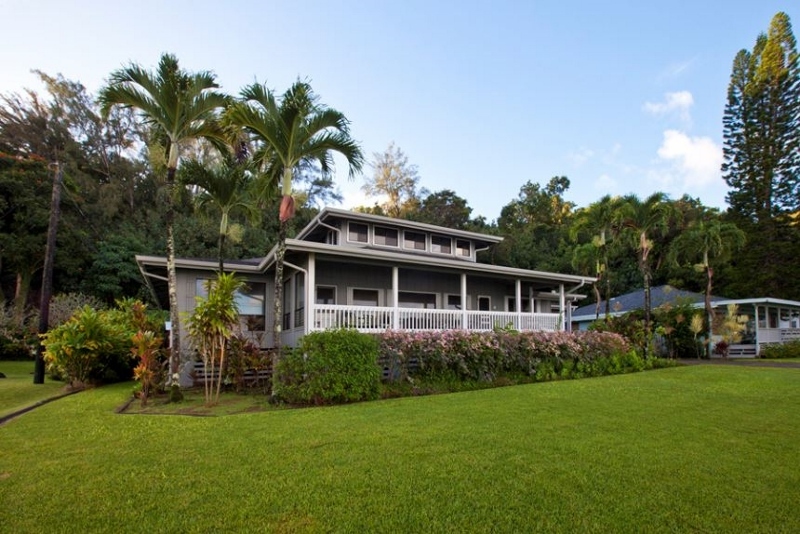 Anini Ohana – Luxury Vacation Homes, Inc.
Large Anini Beach Oceanfront Home! 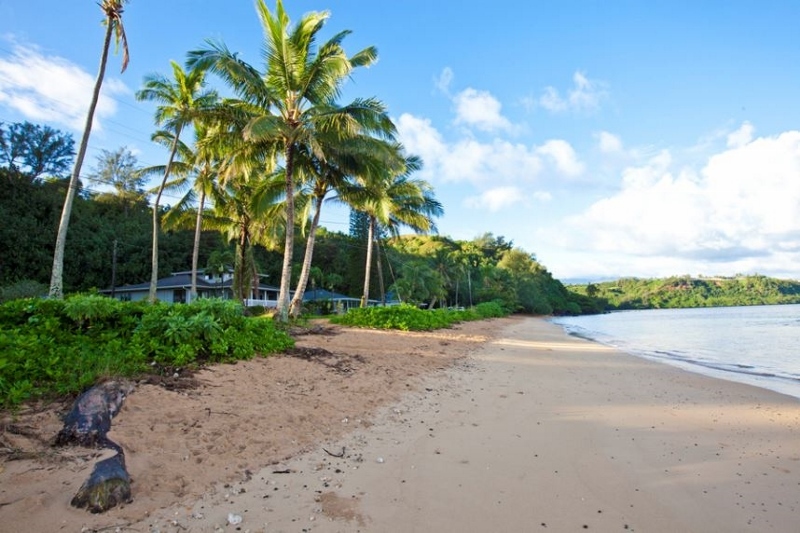 The Best Water Sports & Fun for the Family! 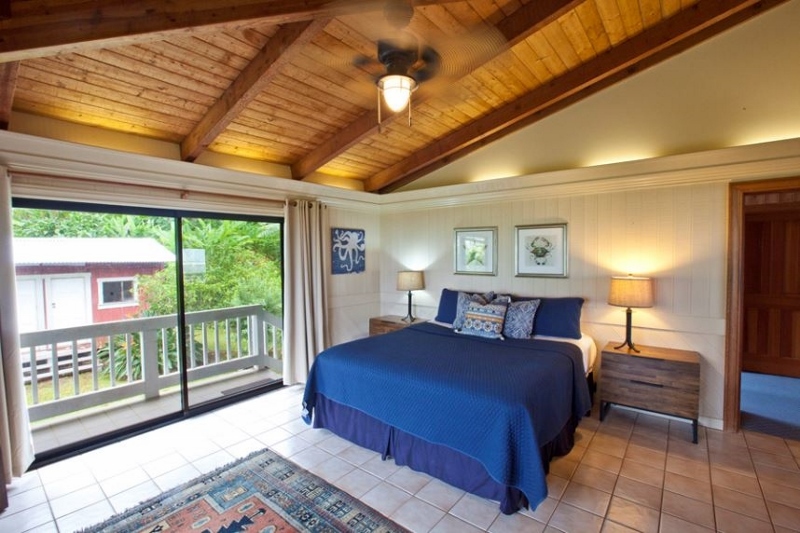 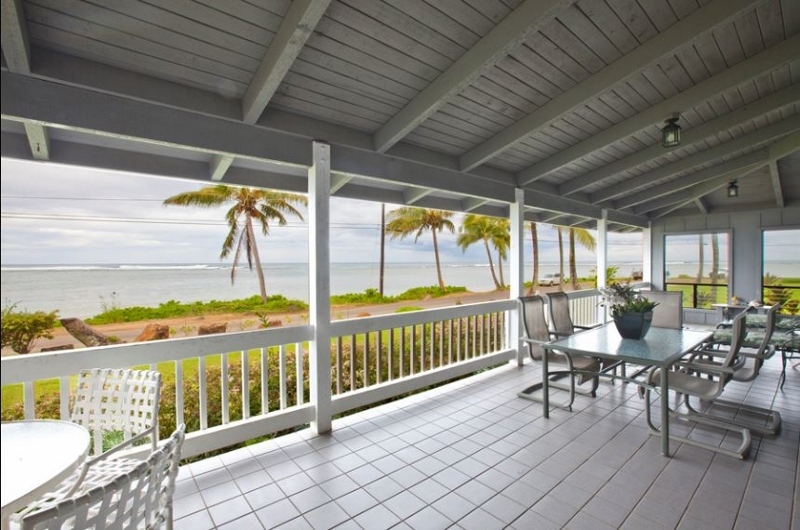 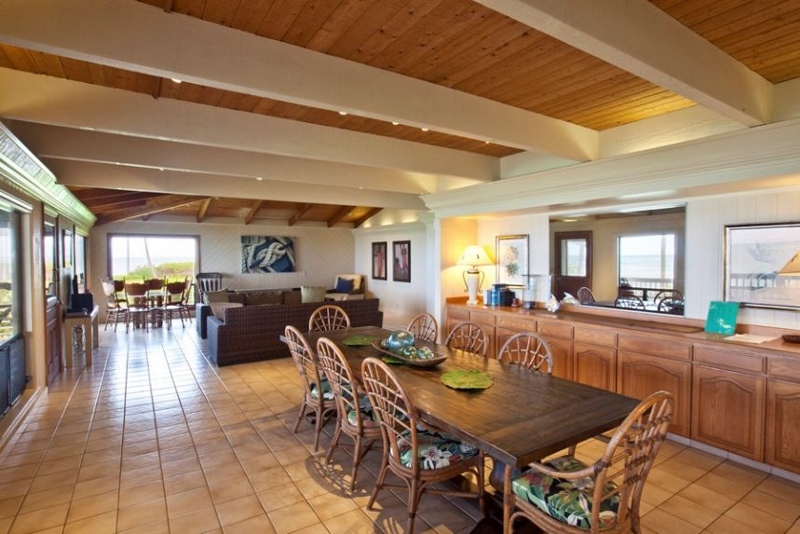 Look no further for your perfect vacation home on the north shore of Kauai. 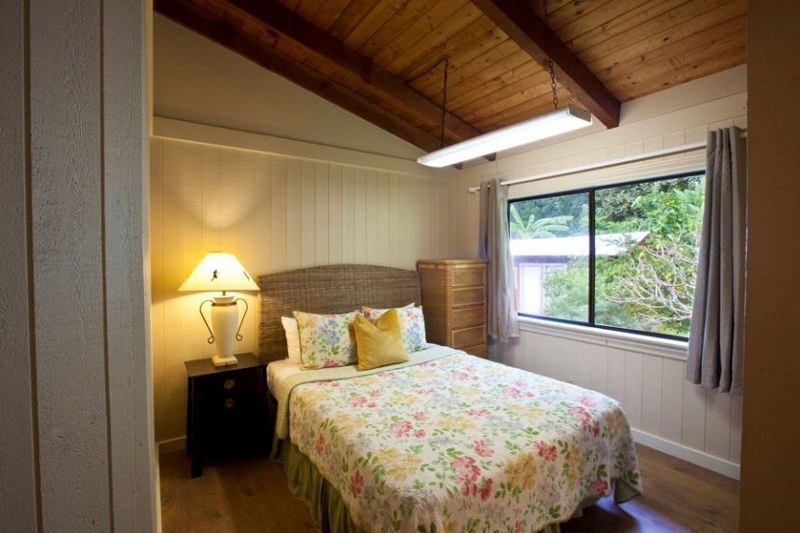 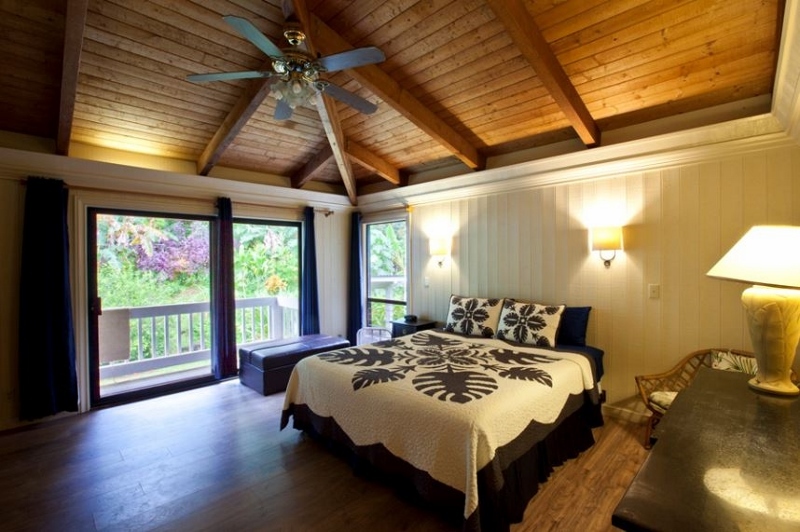 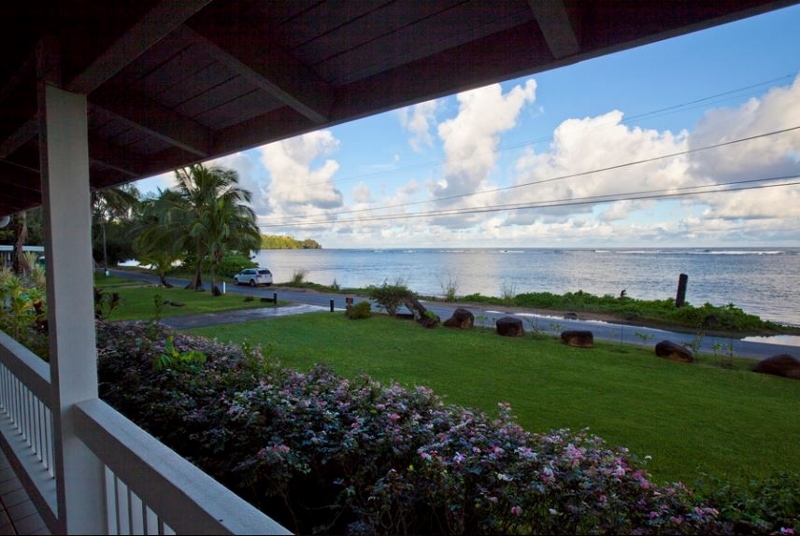 This 4+ bedroom ocean front plantation-style home is located in a peaceful location at Anini Beach. 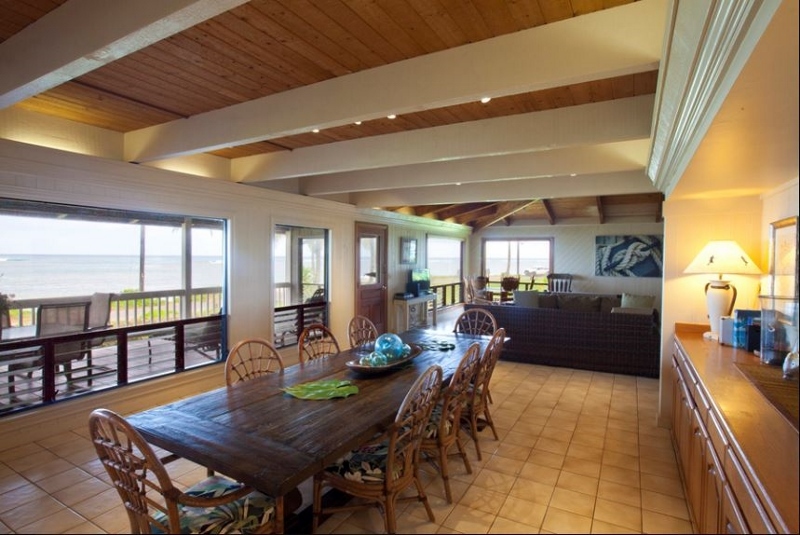 Perfect for family and friends, you will enjoy breathtaking views of the ocean from nearly every room. 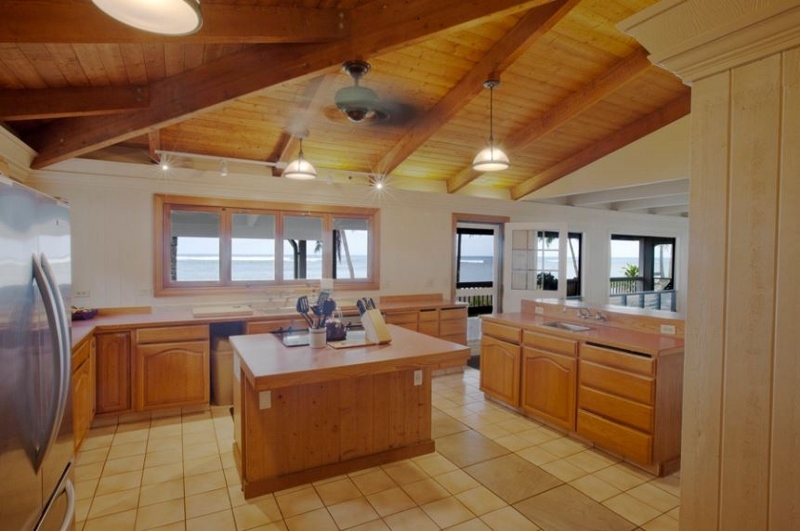 The living room, dining room, kitchen, large dining lanai, and large second floor guest room each have full ocean views. 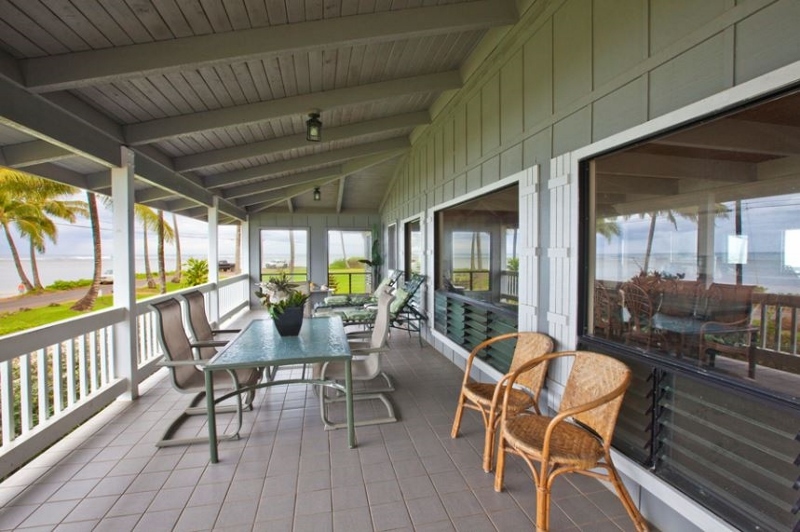 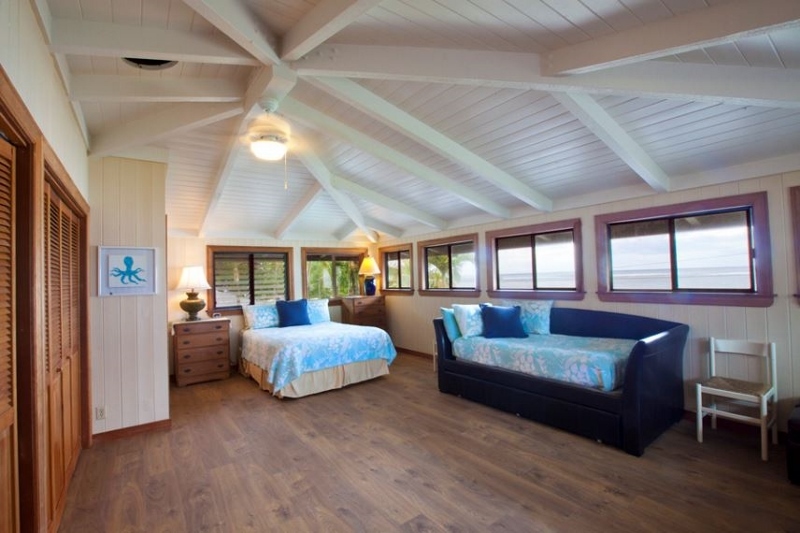 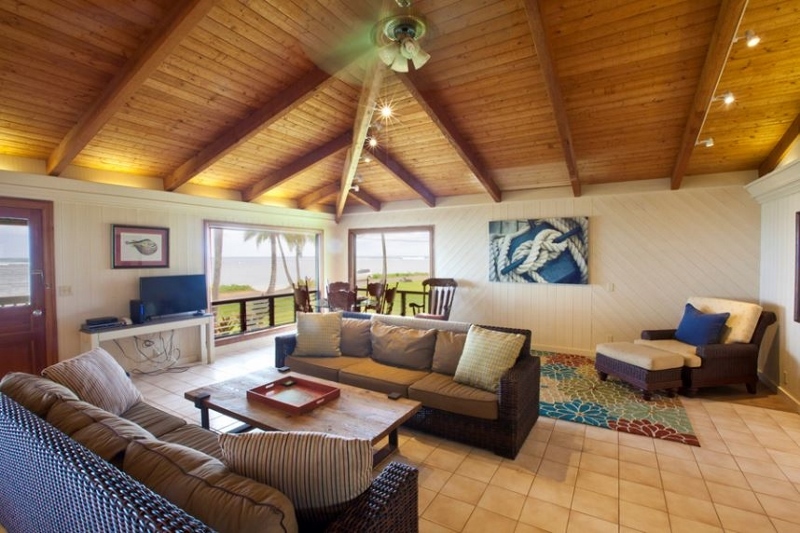 A favorite will be lounging, reading a book, or sharing meals on the large covered Lanai where you can enjoy the tradewinds and take in the breathtaking ocean views. 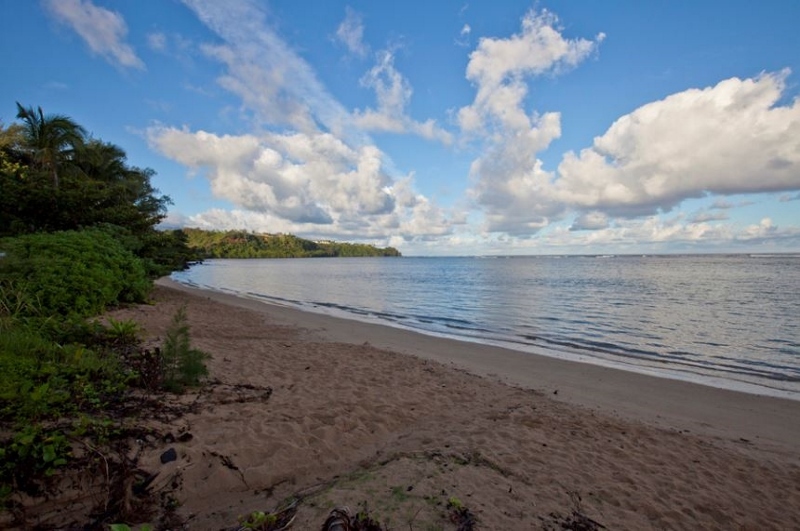 Anini boasts the longest and widest fringing reef in the Hawaiian Islands. 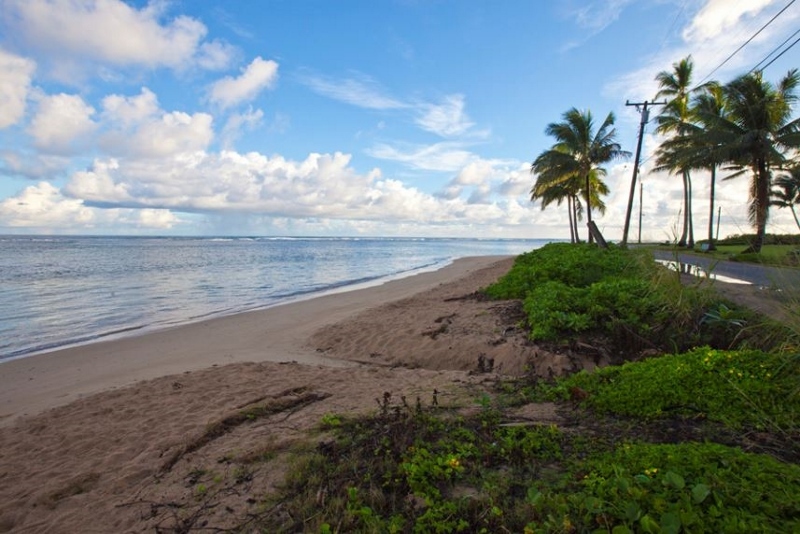 Because of these conditions, it usually has well protected waters and some of the most consistent conditions for water activities. 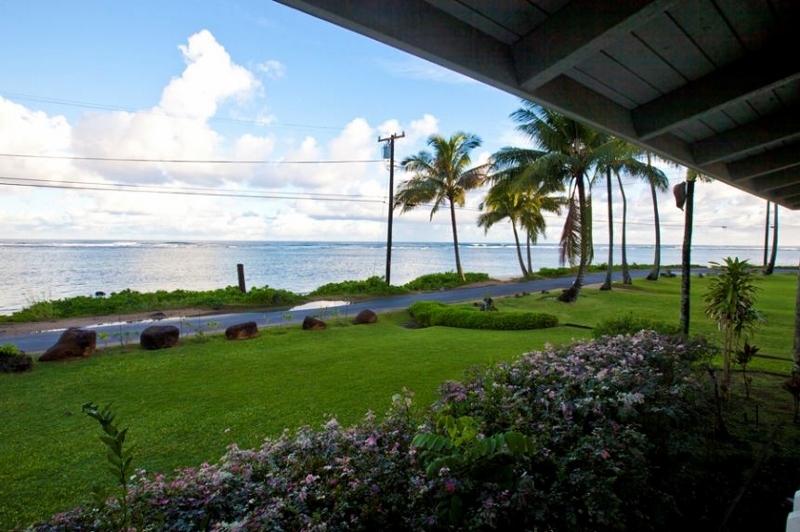 You can enjoy snorkeling, beach walks, picnicking, SUP, fishing, and wind surfing. 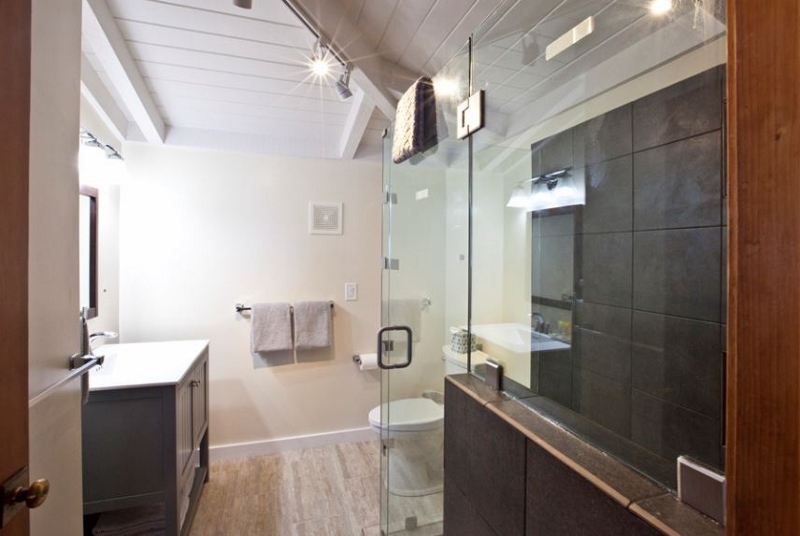 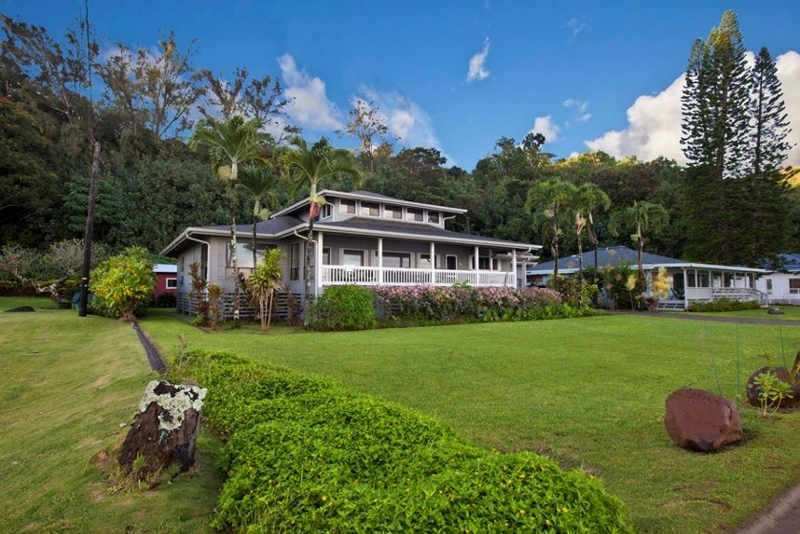 This home is located on Anini Road, past the beach park in a quieter rural area. 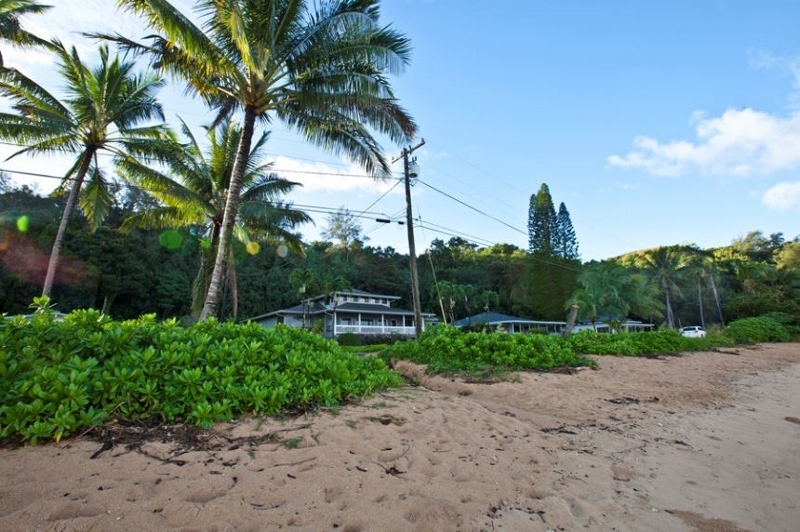 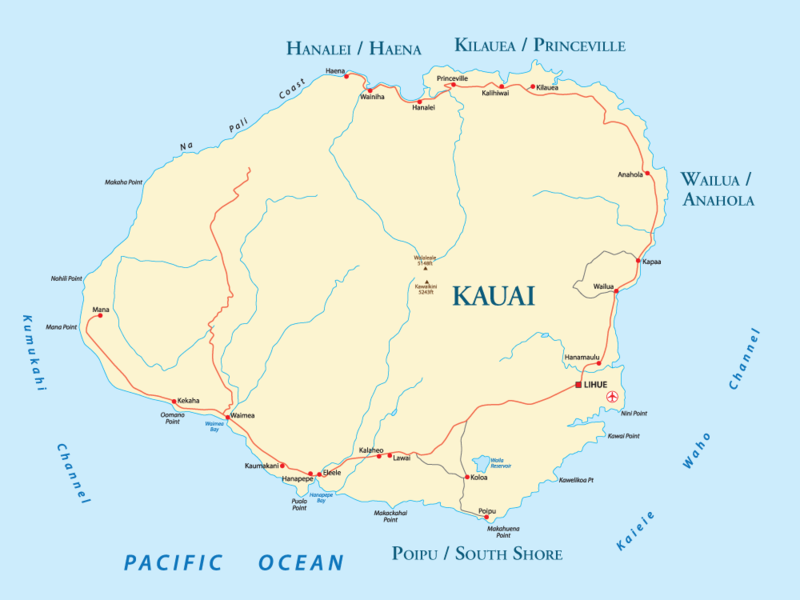 Anini Beach is located on the North Shore of Kauai, just 5 min. 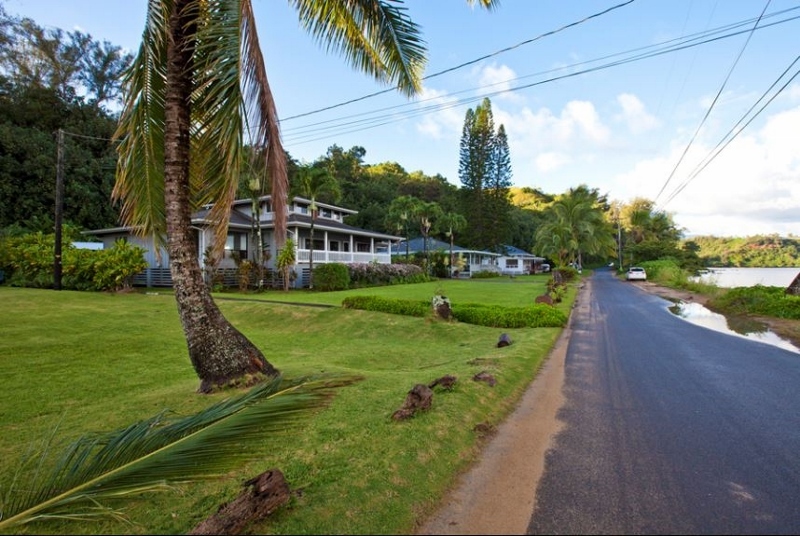 from Princeville and 10 minutes from Hanalei. 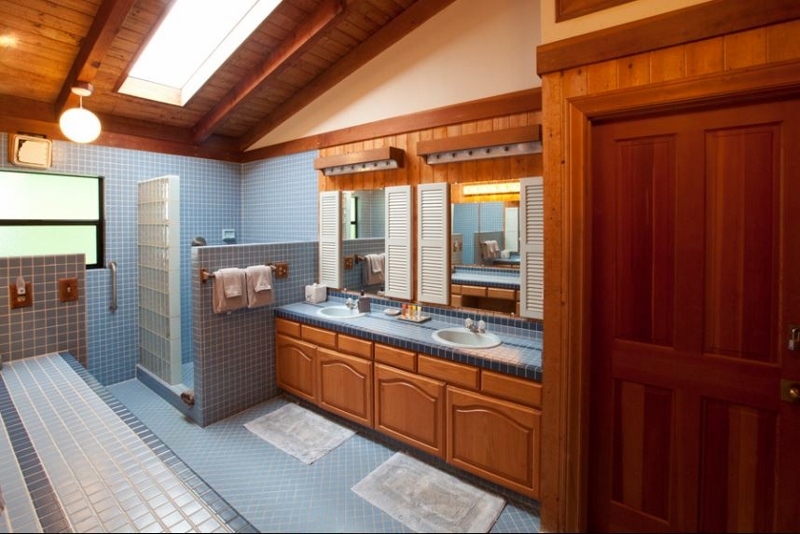 Home is currently for sale and subject to realtor showings with notice.